Product creator Han Fan & Muncheye announced the launch of Mapify360 to help marketers search for and identify unclaimed businesses on Google Maps and Google My Business. The tool is available at an up-front price of $27 & launched on the 23rd of January, 2019. Global product launch platform Muncheye announced the 2019 launch of Mapify360 by online product creator Han Fan. 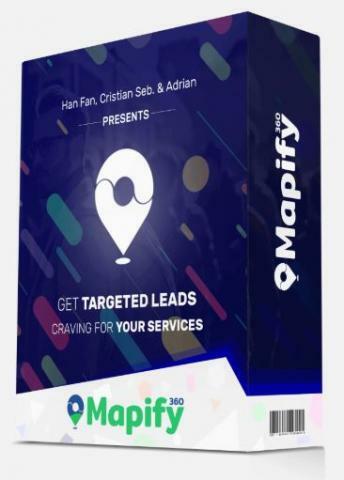 Mapify360 is a cloud-based local map and business optimization tool that helps companies find unclaimed local leads from Google Maps. The product launched on the 23rd of January, 2019. Google Maps and Google My Business contain thousands of unclaimed listings for high-value local businesses. Google Maps unclaimed listings are a powerful gateway to making relevant, high-ROI connections between local businesses and potential clients. Mapify360 is a tool that allows marketers to perform intuitive searches and identify unclaimed listings for their clients. The tool finds unclaimed and unoptimized business listings for products and services that are in demand within a local region. The tool also provides powerful reporting capabilities including the ability to generate a comprehensive optimization report with a single click and offers “Done for You” emails to begin helping clients rank as part of their local pack. The Google My Business unclaimed leads optimization platform firm estimates that approximately one-third of all local businesses remain unclaimed, resulting in significant opportunity losses. The tool helps marketers connect with business owners, help them claim their businesses, and rapidly optimize their lead generation capabilities. The product also offers professional data visualization reports and optimization reports featuring ranking factor information. The tool also helps marketers identify poor reviews for a business and make optimization recommendations. Business sectors covered include education, retail, financial, medical, hospitality, food & beverage, personal services, infrastructure, automotive, and utilities. Mapify360 is a cloud-based marketing tool by product creator, marketer, and entrepreneur Han Fan and his team. The product retails at an up-front price of $27. More information is available at https://muncheye.com/han-fan-et-al-mapify360 and the URL above.